Every fashionista knows details create the bigger picture. You can have a killer dress but without the right shoes and bag, it’s just a simple dress. Your accessories make or break your outfit. 1) Handbags - "Every woman should have a purse of her own." Just because it's made of fur, doesn't mean it can't be professional. Even though the digital world means less paper and more tech, women still love their work totes and satchels. 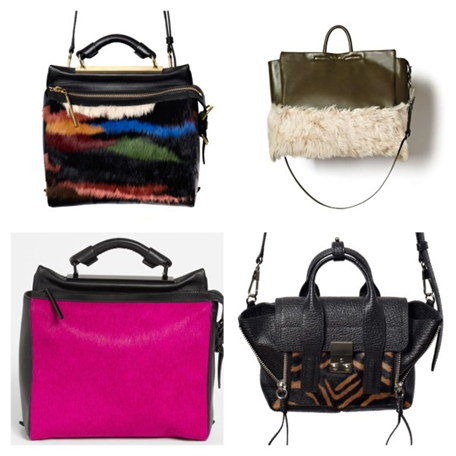 Designers like Tory Burch love to work furs into work bags as an unexpected but luxurious standout. Leather is also a classic business material; you can never go wrong with a sleek leather tote. 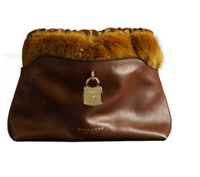 You can go for traditional hues with this tan fur and leather clutch from Burberry for a classic fall outfit. If your wardrobe is more daring, get inspired from the rainbow theme of Brian Atwood's whimsical colors. This burst of color will add a pop of "wow" if you're wearing a monochromatic outfit. 2) Shoes - "So many shoes and only two feet." Sneakers were a surprising trend among designers this season, mixing causal with dressy. 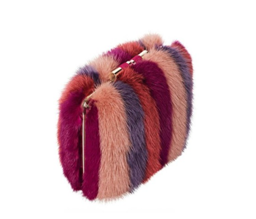 This fun pair from the Fendi fall 2016 collection adds unexpected flair with dyed fur. Wear shoes like these when you want to add a fun twist to a otherwise causal outfit. The Sonia Rykiel fall collection used fur as the focal point. If you want to add some texture to your outfit, shop for shoes with a noticeable fur or leather trim. Shoes with these unique ornaments will make an impact on your outfit for an event or a night out. 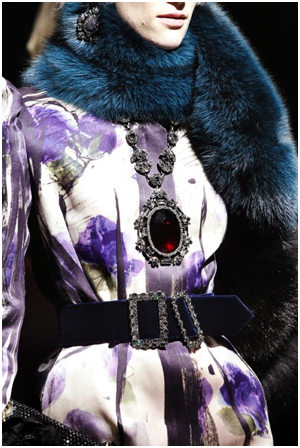 3) Scarves and Stoles - "I see bold accessories as a woman's armor." These delectable scarves will get you noticed any event, without the chance of clashing with your outfit and coat or jacket. 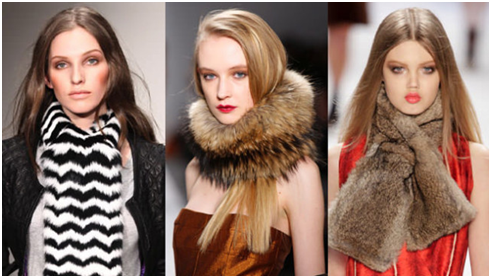 Fur scarves are especially popular in Europe, where fashion lovers throw on this trendy item for instant class. The success of your outfit is in the details. Classic movie stars remembered this basic, but essential rule. Audrey Hepburn wore pearls, Elizabeth Taylor had diamonds. Now you have fur and leather accessories. Be creative and explore different combinations of bags, shoes, and scarves for your own unique look.